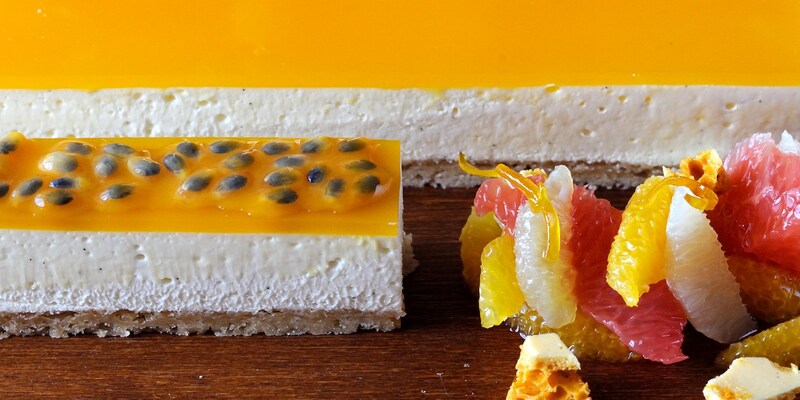 Cheesecake is an ever popular dessert, with it's buttery biscuit base and smooth, creamy topping, it lends itself to a huge variety of flavour combinations, both sweet and savoury. Cheesecakes were originally made as a form of baked curd cheese tart, but are today more associated with the American versions using soft cream cheese, which can either be either be baked or fridge-set. This divine collection of cheesecake recipes includes Shaun Rankin's summery vanilla cheesecake with blackberries and mint compote, Marcus Wareing's inventive Turkish delight cheesecake and a chocoholic's dream, Bryan Webb's chocolate cheesecake with rich chocolate cream. For a savoury version, try Simon Hulstone's delicious canapé of goat's cheesecakes with red onion jam.